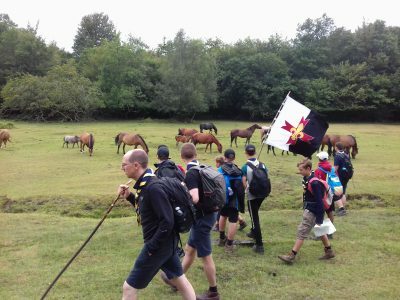 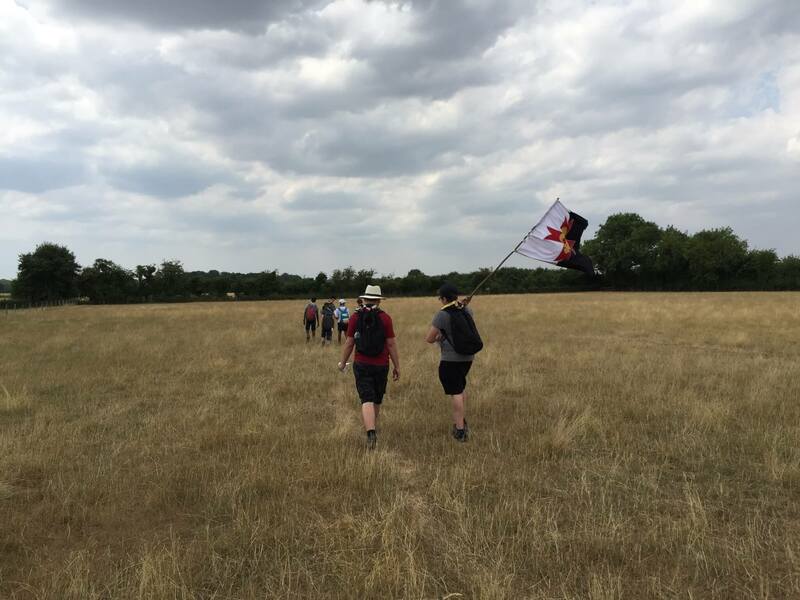 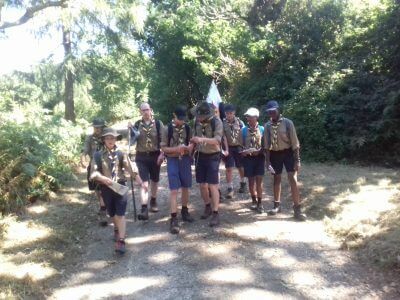 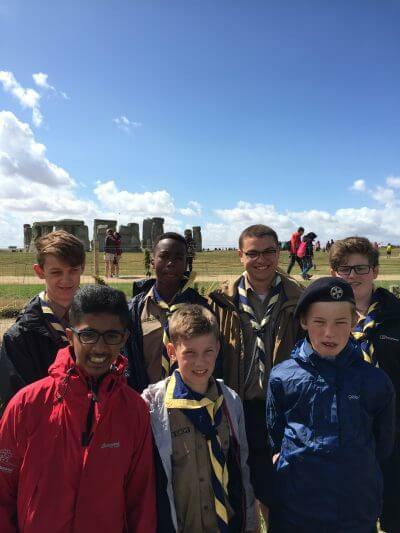 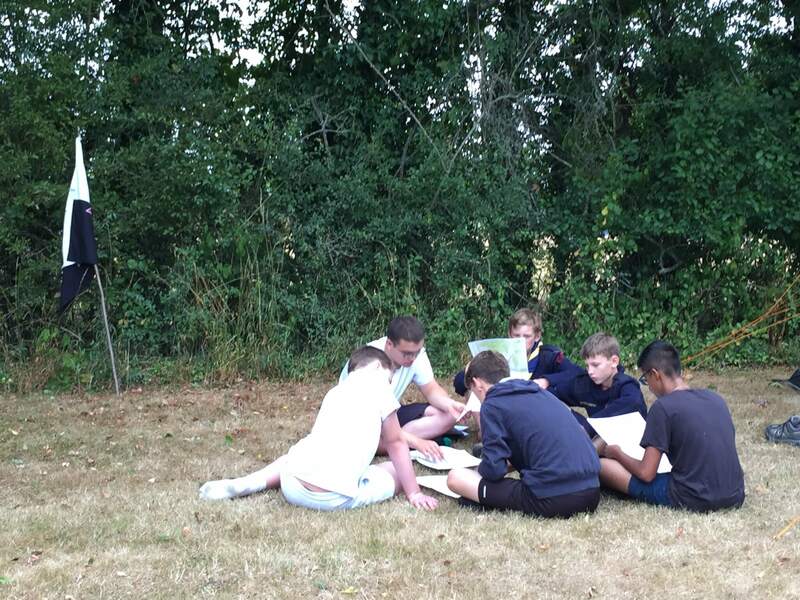 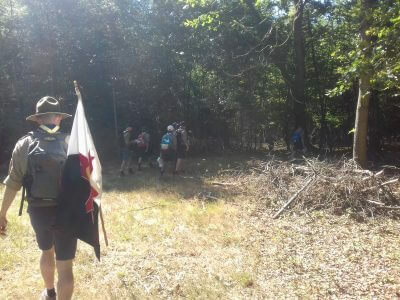 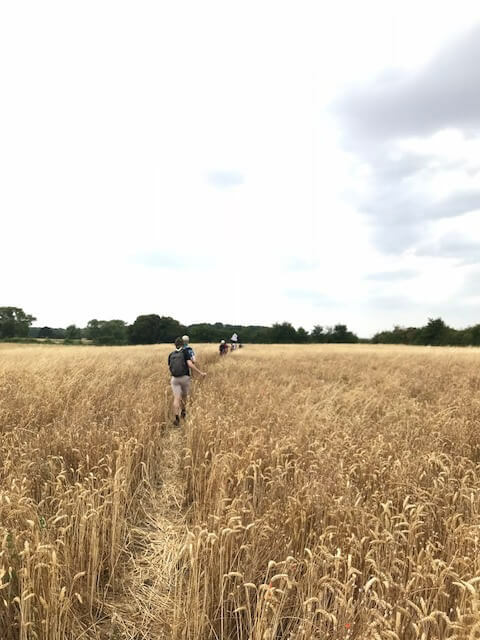 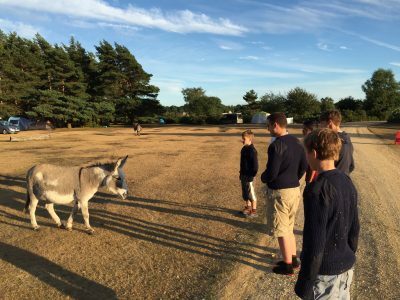 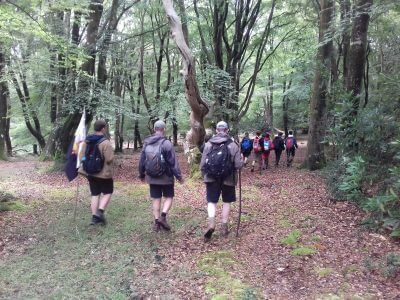 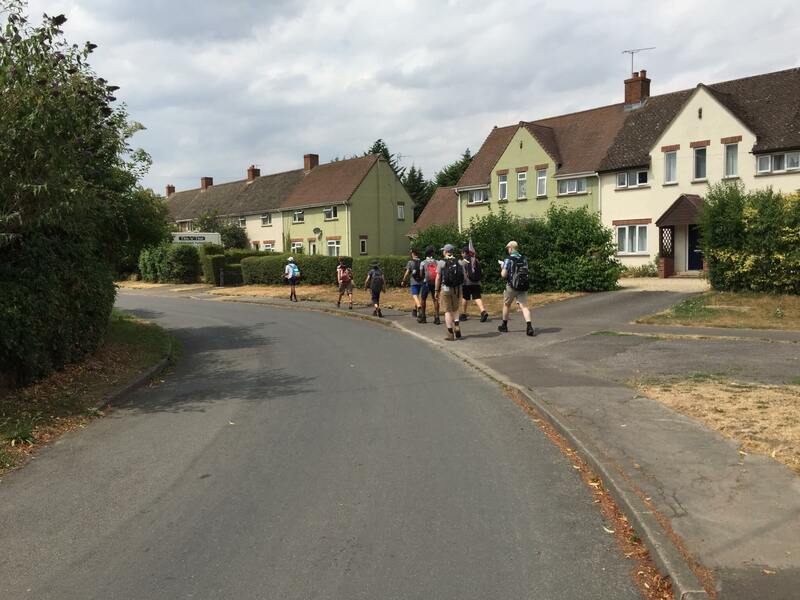 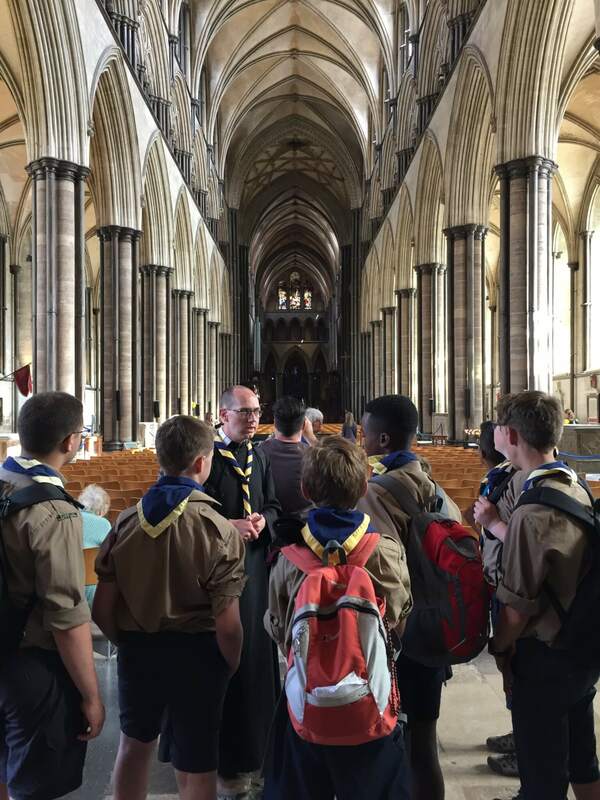 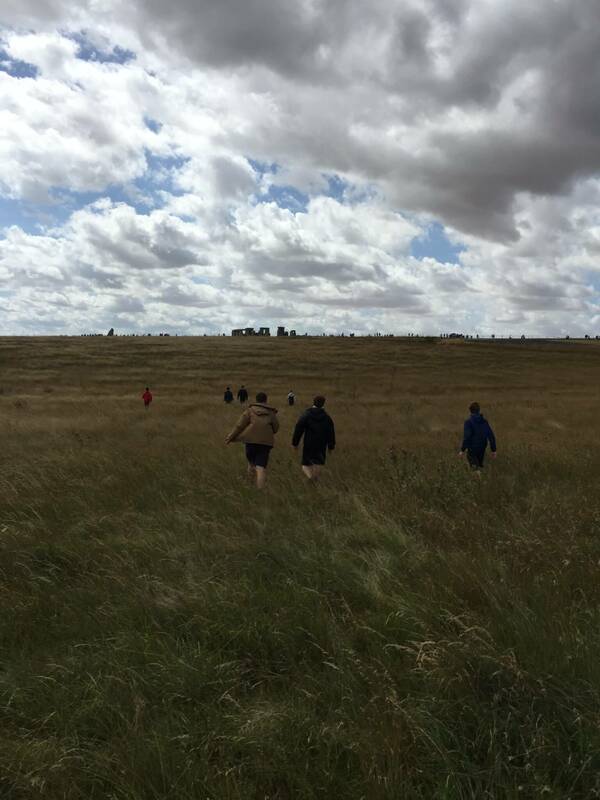 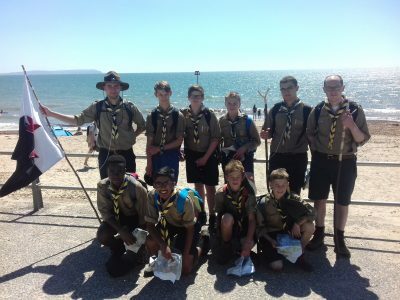 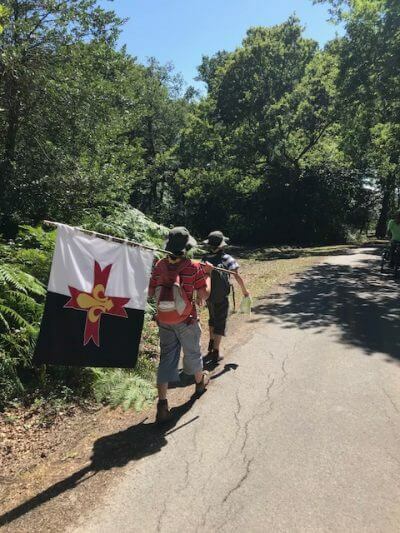 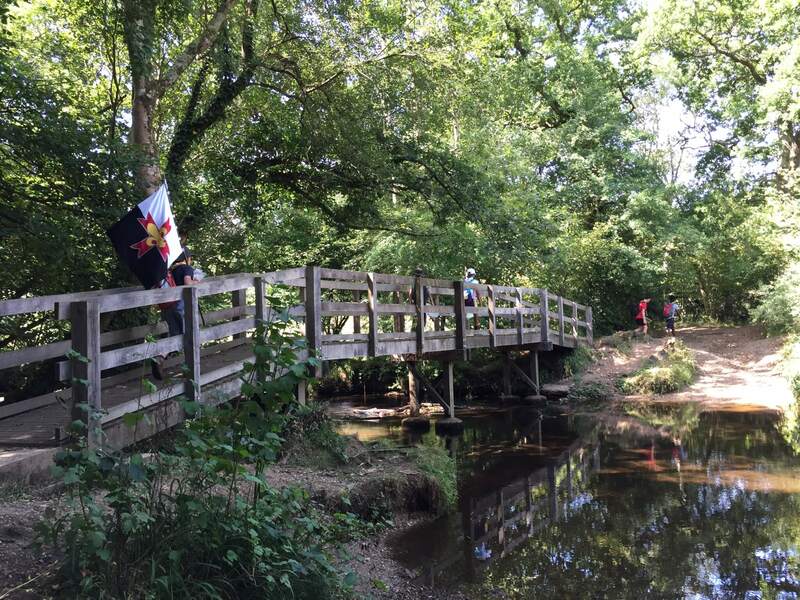 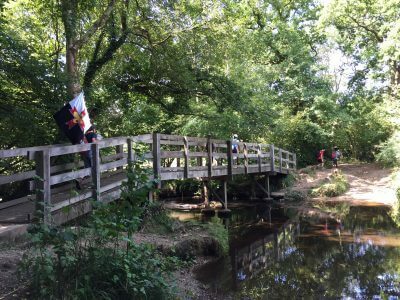 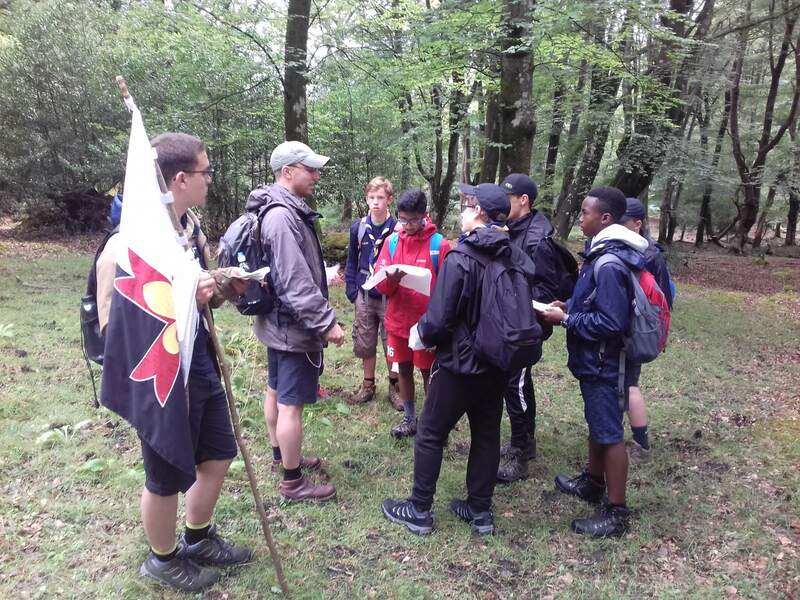 Earlier this summer, our Scout Troop set off walking to the sea via the New Forest. 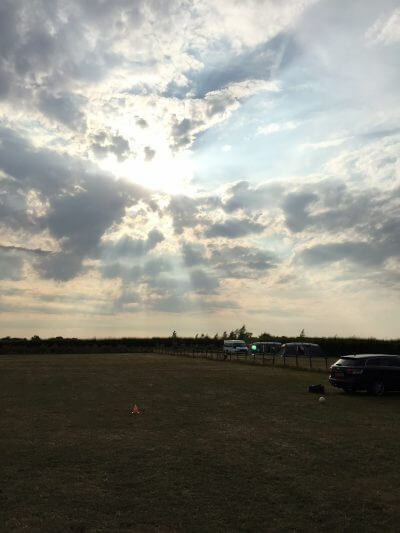 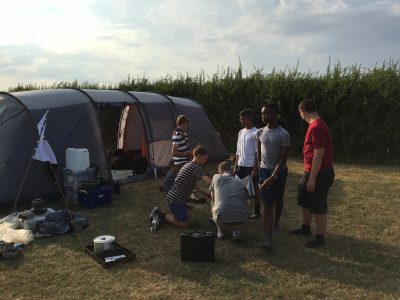 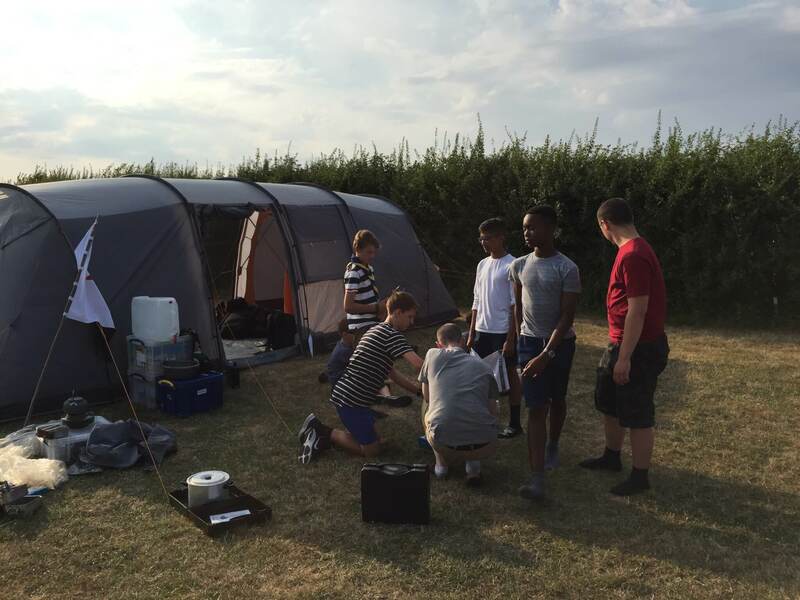 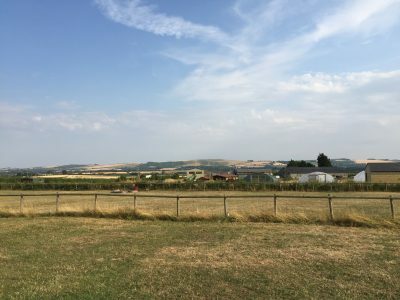 The first day started with a jump in the minibus to Stanford in the Vale, and a walk from there to the first campsite near to the White Horse at Uffington. 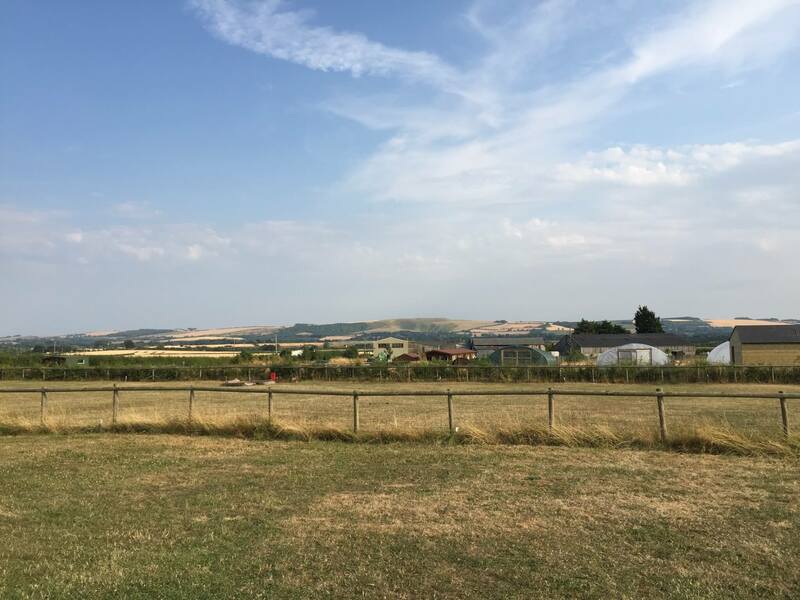 The White Horse can just be seen in the distance from the campsite. 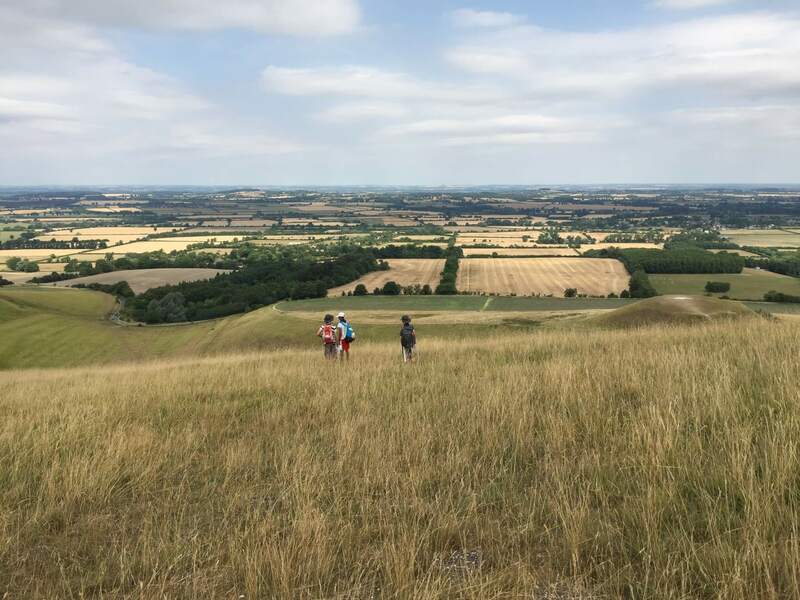 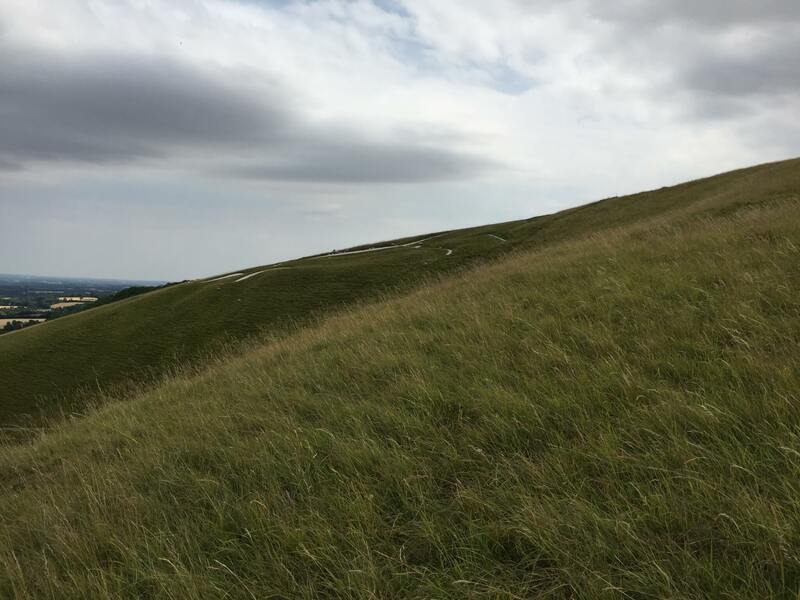 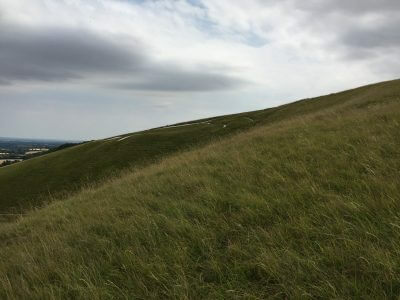 Day 2 was spent exploring White Horse Hill and its surroundings. 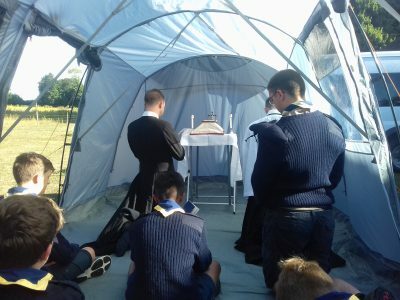 A slightly wet start on day 3 meant that morning prayers and Mass were held in the tent. 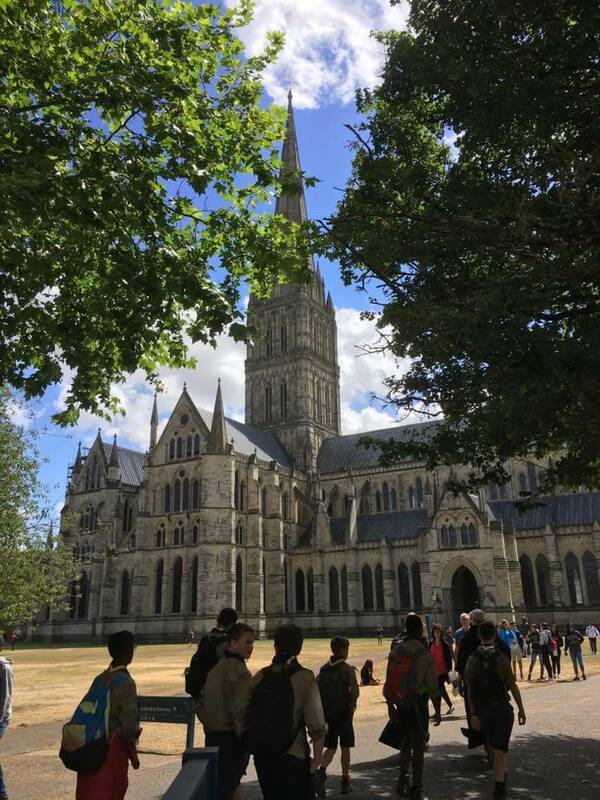 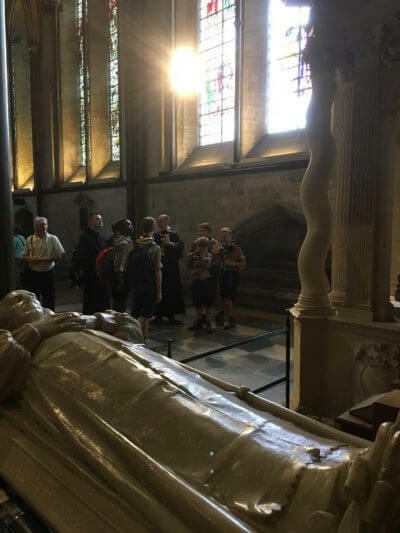 Then we explored Stonehenge and Salisbury Cathedral. By day 4 we had reached the New Forest, but were slowed down by heavy rain. There was plenty of time to plan routes through the New Forest though. 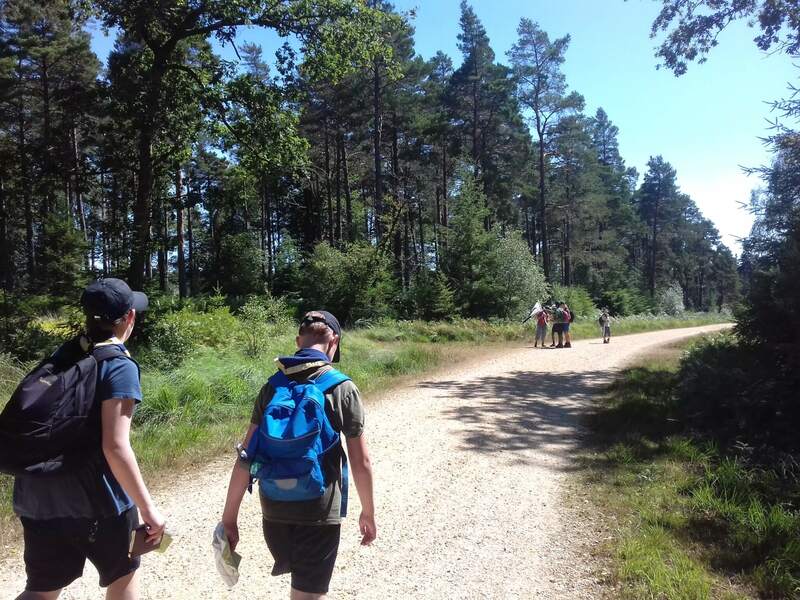 On day 5 we began walking through the New Forest, and didn't use the minibus again until we had reached the sea. 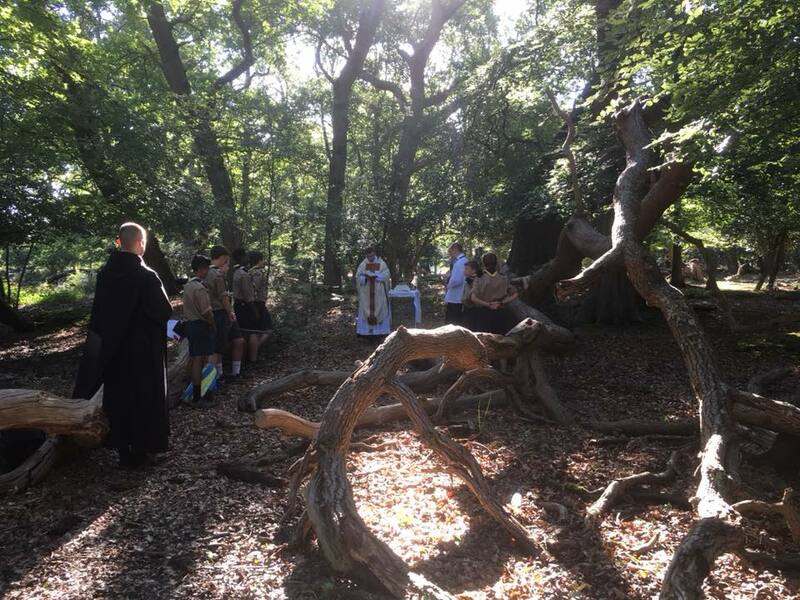 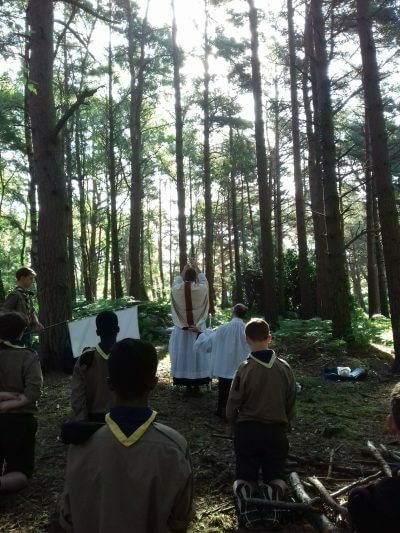 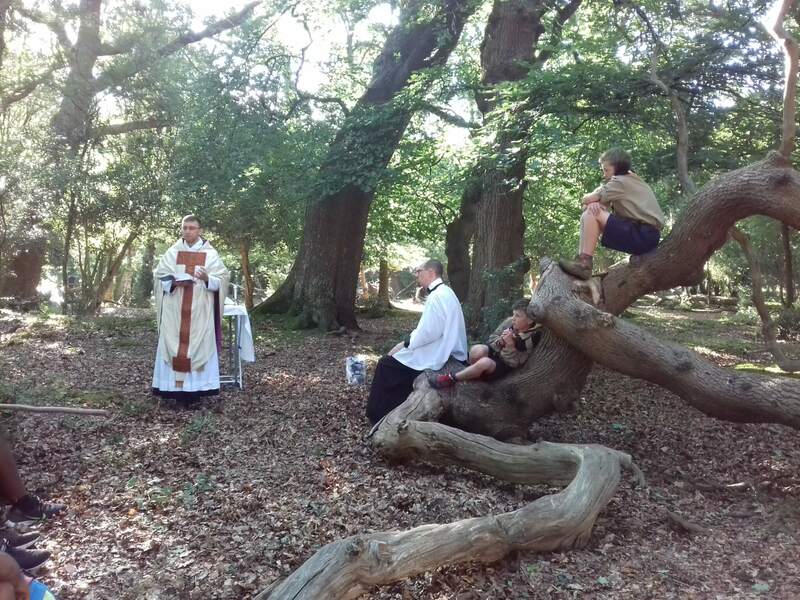 We were able to celebrate Mass in some stunning outdoor locations.